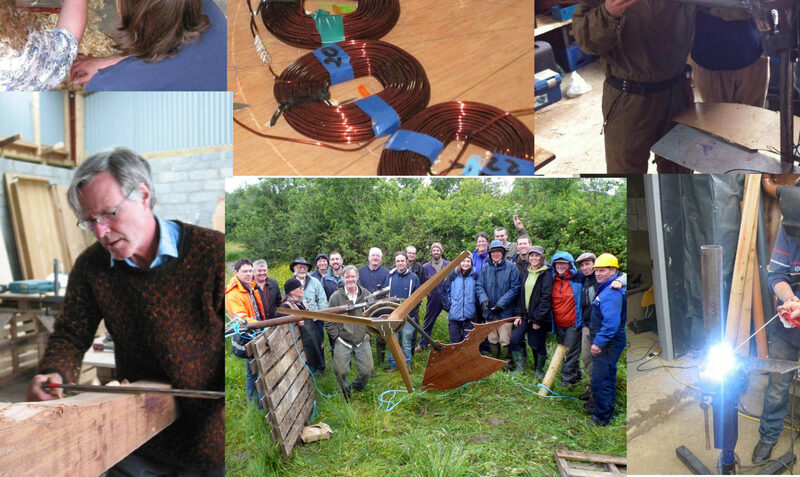 The March wind turbine building workshop started today in Ballinamore, we are making a 1800mm 24v machine. We started the day working on the blades, they are made up from six lenghts of 2×1″ white deal to give us the width we need. Rather than buying glue we mixed up some of the vinyl-ester, this is the first time I have used it to laminate blades and it will be interesting to see how it works over time. This little turbine is going to be installed at our place so I can keep an eye on it. We got the magnet rotor mould made and the magnets positioned on the rotor all ready for casting.